In 2001, Chinese people erupted in euphoric cheers and feverish celebration across the country when the International Olympic Committee announced Beijing had won the bid for the 2008 Summer Olympics. In contrast, Beijing’s victory over Almaty, Kazakhstan, last Friday for the 2022 Winter Olympics has received only a tepid reaction in the mainland. It’s not surprising, since Beijing citizens generally have little interest in winter sports. And for many people, the 2008 Games were expensive and bothersome, with extravagant spending on stadiums and city-wide driving bans to cut air pollution. When China won the Summer Olympics bid over a decade ago, the international community hoped it would serve as an impetus for the Chinese regime to improve it’s appalling human rights record; instead, it became a silent validation of China’s crackdown on dissent and on negative press in the months leading up to and during the Chinese Summer Olympics. 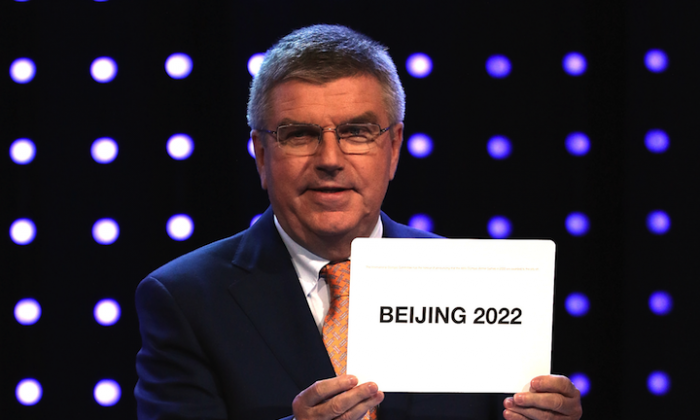 To have Beijing host the 2022 Winter Olympics is a bad idea, and here are five reasons why. Taken in January, two weeks before the time of year when the Beijing Olympics will take place in 2022, this photo shows the Yanqing cluster, the venue for several events like skiing and luge. (International Olympic Committee/Report of the 2022 Evaluation Commission). Beijing and co-host cities Zhangjiakou and Yanqing all see little snowfall in the winter, unlike Almaty, a city with abundant snow that boasted “real snow, real winter ambience, real winter games” in its promotional video. Therefore, to hold the games, Beijing will have to artificially create massive amounts of snow, a costly feat for a city already suffering from water shortages. Yongding River, once the largest river to flow through Beijing, is mostly dry. To combat the problem, the Chinese regime invested $80 billion into a South-North Water Transfer Project, but due to a slow flow rate and other structural issues, the canal transports less than 5 percent of the target of 10 billion tons of water per year. Chinese officials claim, however, that they have ample water to create the artificial snow needed. Smog, a combination of smoke and fog resulting from China’s rapid and largely unregulated industrial expansion, chokes China’s major cities, especially Beijing. 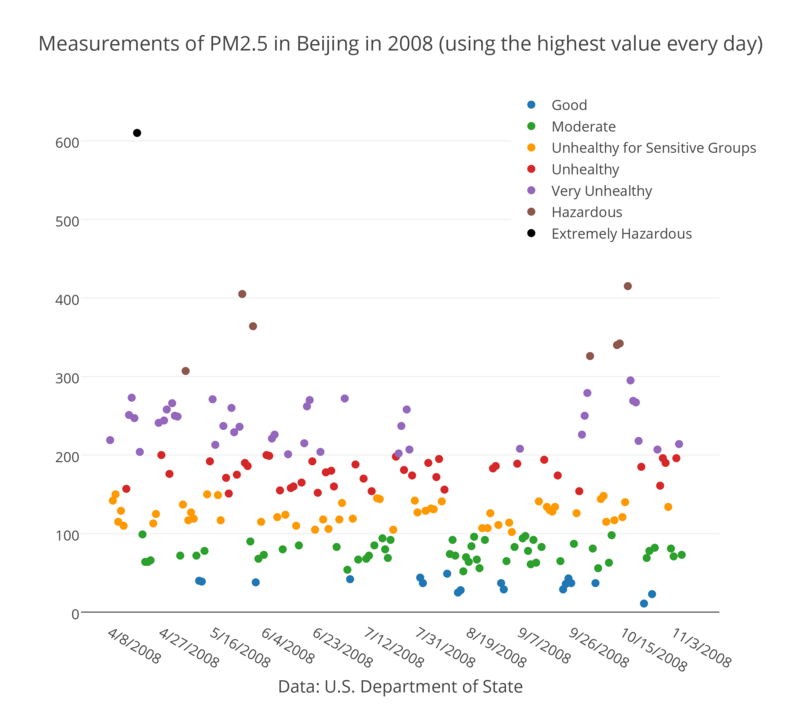 In March of 2014, the U.S. embassy in Beijing released a study on air quality and found PM2.5, a particle small enough to enter the lungs and cause severe health problems, at readings up to 400 on the air quality index (AQI) in 2008. Air with an AQI reading over 200 is considered very unhealthy, potentially harming the respiratory system and increasing aggravation of heart and lung disease. To clear up the air for the 2008 Olympics, Beijing banned over a million cars from the roads and shut major factories in the city. The temporary plan improved air quality significantly, but Greenpeace reported that the average concentration of atmospheric particulate matter in Beijing was still twice the level considered safe by the World Health Organization. The Chinese regime has made some progress in reducing smog in the first half of 2015, but the problem persists. 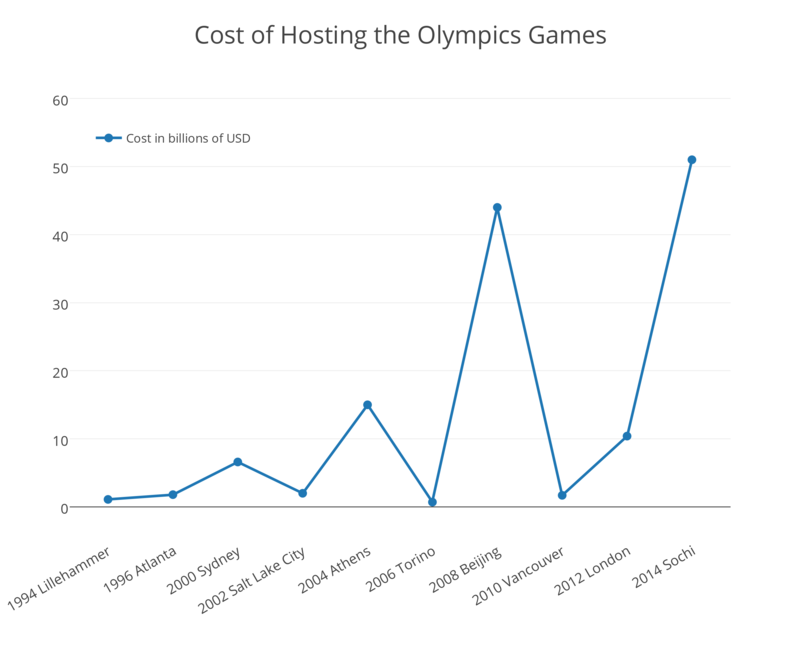 Hosting the Olympics costs a fortune, which is why few countries want to do it anymore. The 2008 Summer Olympics cost China $40 billion, while only bringing in an income of $3.3 billion, according to state-run newspaper China Daily. But the Chinese Communist Party is nonetheless eager to host the 2022 Winter Olympics, regardless of the enormous price tag, because of the publicity and glory the Olympics will bring for the Chinese regime. For this round of Olympic Games, authorities estimated a budget of $3.9 billion, but it’s almost certain they will overspend building new winter sports venues. China also has to build an expensive high-speed train to connect Beijing and Zhangjiakou, two cities separated by over 100 miles. 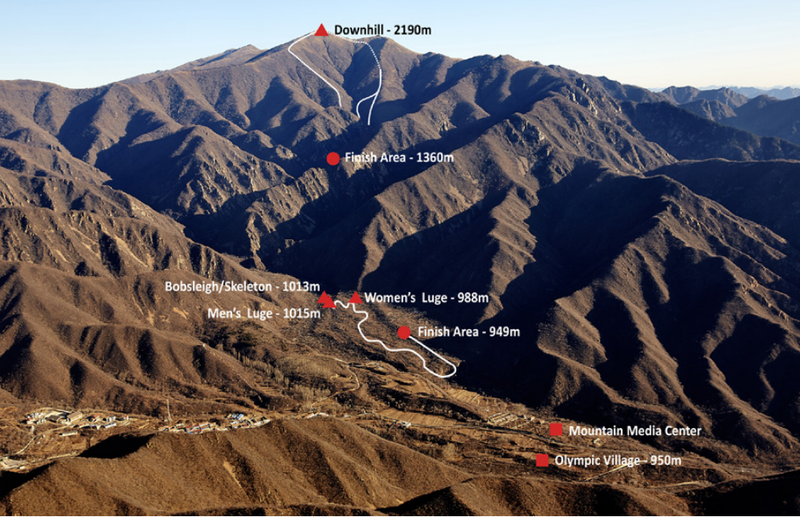 Yanqing, a location for a few other events, is also over 50 miles away from center city. Almaty, on the other hand, emphasized how all events would be held within a 20-mile radius of the city. In the summer of 2008, infant formula contaminated with melamine, which was added to artificially increase measures of protein levels when the milk was tested, sickened hundreds of thousands of babies in China. But with the Olympics coming up, the Chinese regime hastily suppressed an investigation by a journalist from Guangdong’s Southern Weekend newspaper and prevented a press conference by affected parents. 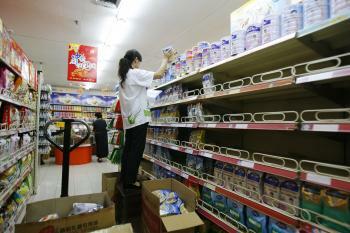 The tainted milk powder ultimately sickened 300,000 infants, and killed at least six. Authorities also suppressed any foreign media reports of human rights abuses. A British journalist was mistreated and detained after he covered a Free Tibet protest close to the Olympic zone. Like it did for the 2008 Summer Olympics, the Chinese regime will probably censor the media—even more than it does already—to hide any upsetting news from international attention. Although the international community hoped the 2008 Olympics would encourage the Chinese regime to stop its rampant human rights violations, Chinese authorities instead intensified their abuses. Authorities exploited migrant workers to construct Olympic venues, evicted homeowners with little compensation and demolished their houses, detained and expelled journalists, and tightened the internet firewall, according to Amnesty International. Thousands of dissidents or protestors were suppressed with intimidation, surveillance, house arrest, or detention. For instance, Ye Guozhu, an activist in Beijing, was detained under the catch-all charge of “disturbing public order.” Even the families of major dissidents were not spared. 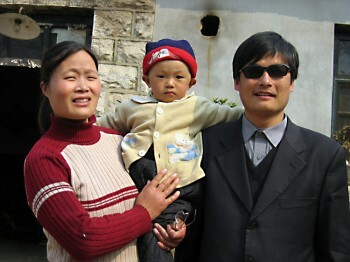 Yuan Weijing, the wife of blind activist Chen Guangcheng, said the number of officers watching her home in Shandong Province increased from 10 to over 40. Of course, Kazakhstan, also an authoritarian state, isn’t much better. But the Chinese regime has already demonstrated in the 2008 Beijing Olympics that it will not stop its human rights abuses despite international pressure. And just over the past few weeks, Chinese authorities have rounded up over 200 human rights lawyers activists in one of the largest crackdowns on civil society, making Beijing’s hosting of the 2022 Winter Olympics highly worrisome.